Gone are the days where painting and drawing on paper to make a buck, were the only widespread mediums. Nowadays, you can find artists, designers and architects drawing on tablets instead. From illustrations to comic books, artist now make a living doing what they love, with all the benefits that technology can bring to the table. Yet, no artist can do their best job without their best tools, so you want to find top equipment. A top drawing tablet may be exactly what you need for the success you’re looking for. It’s important to define and determine a few things before your purchase. To make sure that you’re investing in the right option for you, consider the following information. If you’re a professional who uses your tablet as a job, you’ll want to make sure that you get one that can actually handle the job at hand. If it’s for fun or recreational ‘lite’ art, you probably don’t need to worry about as many details and features as you do for complex drawing work. For people who work on their tablet all day long, it’s important to get a screen that will be easy to use. Most of the time, this means a larger one, with good sensitivity and resolution specs. It also helps you to be able to draw finer details and focus on the bigger picture. You want to pay close attention to the pen before you choose a tablet. One that allows you to toggle pen and eraser, has good response, and is designed with artistry in mind is one that can be relied on for your art. If it doesn’t need to be charged all the time; even better. With a sleek and attractive design, the Huion Inspiroy looks the part of a tablet that does what you need it to, but does it live up to expectations? With a unique Innovative Tilt Control System, this beauty allows you to accurately position the cursor and get angles that aren’t so easy to get with other options. The pen has great pressure levels so you can get better rates and resolution and always draw as precisely as needed. The battery-free Stylus doesn’t need to be charged and the tablet includes a pen holder, so you never lose your artist pen. 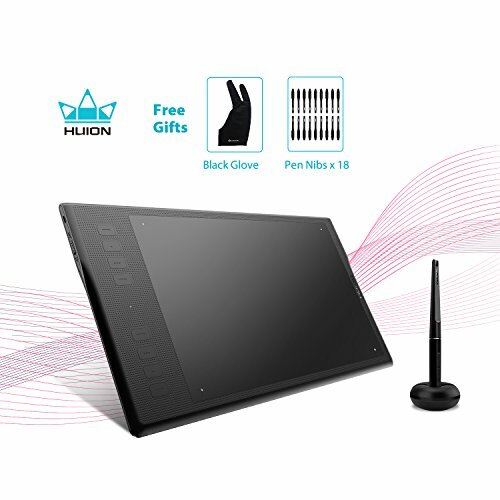 Because you’ll want to use internet, the Huion tablet is able to connect wirelessly, so you don’t have to stress about cables getting in your way. You can also program your tablet with 8 customizable keys, which helps you to work more efficiently. You want a tablet that includes a pen when searching for the right one for you, but not just any pen. The Huion H610 wins artists over with a pen that has great pressure sensitivity. It allows you to draw as accurately as possible, so you don’t have to struggle with finding the right pressure, which can be time-consuming. The Huion also has a great screen for working on at 10 x6.25 inches. A larger screen allows you to more easily draw fine details and is typically less painful on your eyes, when you find yourself having to work for hours. As traditional artists usually love the feel of drawing on paper, the Huion H610 designers have come up with a way to recreate that feeling. With a screen that feels like paper-like-texture, you can have a more natural experience drawing. 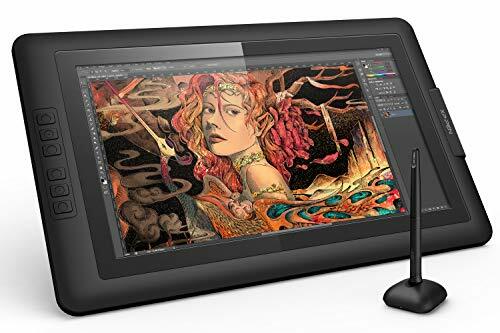 This drawing tablet has a decent-sized screen, so whether you’ve been drawing on a tablet for years or are just starting out, it’s easy to use for all kinds of creations. The papery texture surface allows you to feel like you’re drawing on paper, except you get to create digital art-work. You can easily sketch on the UGEE without worrying about lag. The pen stylus has a great 8192 pressure sensitivity which helps you to be able to draw easily, without it being affected by the weight or angle of your hand. You can retouch photos with the UGEE or just use it for drawing. You can set it up quickly and because it can be used by left-handed or right-handed users, it’s perfect for anyone. In fact, it’s one of the most versatile options around that can be used by both newbies and professionals alike. 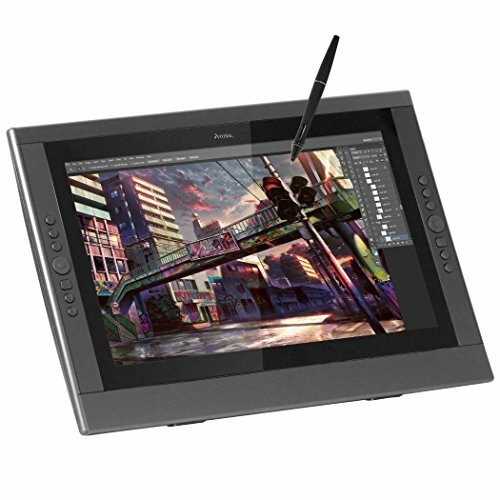 An affordable option that promises good quality, the Wacom is a favorite for many budding artists. 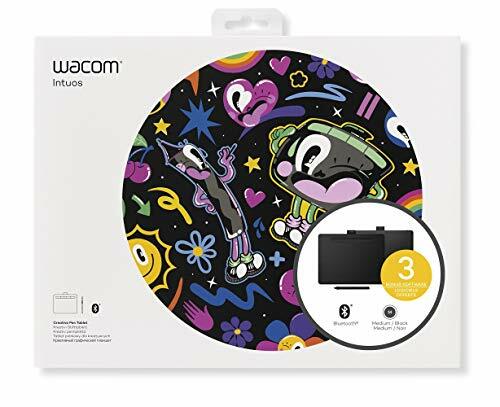 With 4096 levels of pressure sensitivity, it’s easy to use the Wacom.. You can easily connect it to your laptop or desktop with a USB able and it’s compatible with both recent versions of Mac and Windows. Its slim body helps to make it easy for you to take it with you wherever you go and it’s easy to set up, whether you draw with your left hand or right hand. You don’t even need to worry about charging the pen when it arrives, so you can start using it right away. 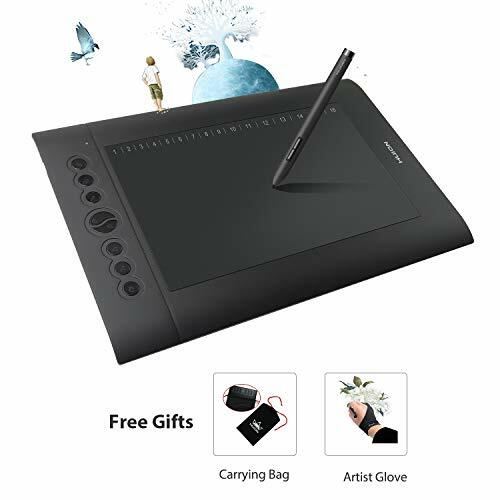 The Wacom is great for gifting to a beginner or for those who want to start practicing on a tablet to eventually draw and illustrate professionally. The Wacom Intuos also includes downloadable software for free. 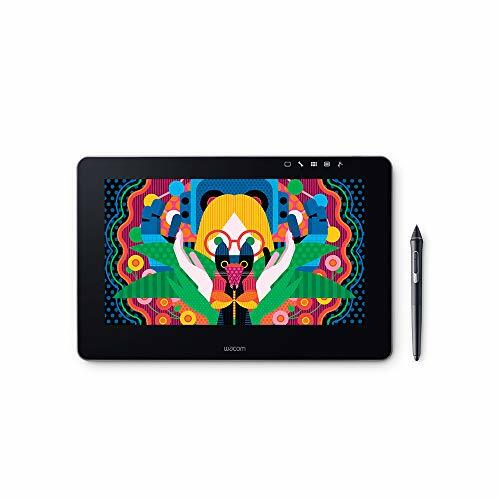 When purchasing a drawing tablet, you want one that has ideal connectivity. The Artisul can be connected to your computer through USB or a HDMI output port. The Artisul has a great screen for working artists who need something big to spend hours working on. While its screen may be large, it has a very slim monitor, making it easy to take with you wherever you need to go. The resolution is great at 1920 x1080, so you can depend on the display for a great view of the art you’re working on. Designed for either left-handed or right-handed use, the Artisul also has 6 customizable FastAcess buttons to make drawing easier than ever. The Gaudi battery Pen has great pen pressure. 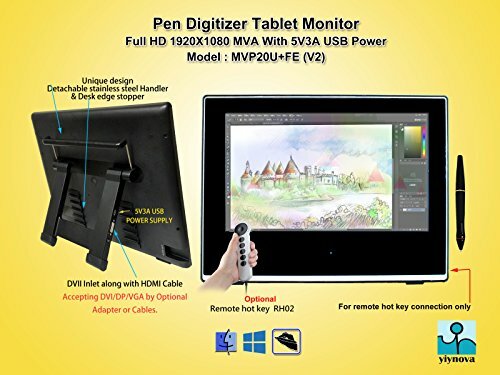 For those who must have a large screen to work on, this may not be the best for you, but if you’re a beginner who wants to start off on a reliable tablet, this one is ideal. Compatible with Mac and Windows, you can choose this option, no matter which type of computer you may have. The multi-touch support and USB interface help to make it a comfortable and reliable option for anyone. 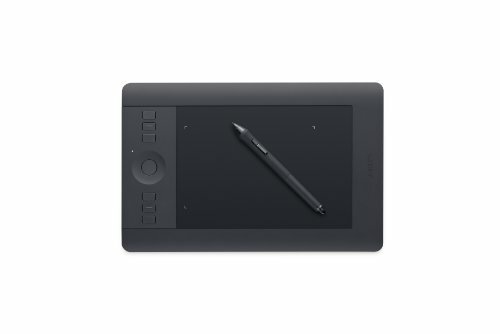 Also, whether you’re left-handed or right-handed, you can still use this tablet to draw. You can also use it wirelessly, so that you don’t have to worry about them getting in your way. Designed with artists’ needs in mind, the pen is certainly one that many artists would approve of. It has tilt recognition, so you can be sure that it will work well for your style of drawing. This beauty may be a little pricey but many would say that it’s worth the cost. With the ability for you to edit your work directly on the tablet screen, it’s a pleasure for the employed artist to use. It cuts down time spent on your work and with such a high quality glass design, you get the clarity and precision needed in drawing. The tablet’s screen isn’t the only reason why this one deserves some recognition. It has a Passive Pen design that provides 8192 levels of pen pressure sensitivity. You can control this pen better than almost any other options around. You also don’t have to worry about charging it. A really unique feature on this option is the one-click toggle which allows you to alternate between your pen or eraser, whenever you want. 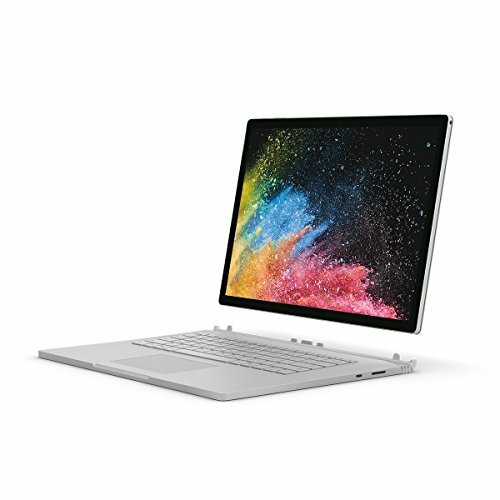 Not exactly the tablet you originally thought of, but definitely one that can live up to professional standards, the Microsoft Surface is for the artist who likes to keep their work in one place. With an 8th generation Intel Dual Core i7 processor, it’s reliable enough to hold up to anything that you may throw its way. It also has a reliable GDDR5 graphics memory, so you can save your work on it when needed. With two-times more power than other Surface Books, there is no reason to look for anything else to use for your art. It has four different ways that it can be used, so whether you want to use it for drawing, editing photos, or simply working on projects, it’s strong enough for your needs. The bundle includes everything you may need for drawing, working, and saving your projects. If you love working on a big screen and want to have everything in one place, this could be the best option for you. It’s unique compact, lightweight design means that you can take it with you, so that you can work at a coffee shop or in various offices. Yet, it still has a nice screen and HD display for working on. With a wide-viewing angle, you can have the best visuals for drawing and illustrating. The Wacom Cintiq can be hooked up to a Mac or PC and it is easy to set it up to either. The tablet also has four customizable ExpressKeys to help you save time while working, as well as a rocker ring. The texture is paper-like, making it ideal for professionals who love drawing on paper. The pen is sensitive and can detect pressure on the screen, allowing you to have great control, which is highly important for any professional artist. 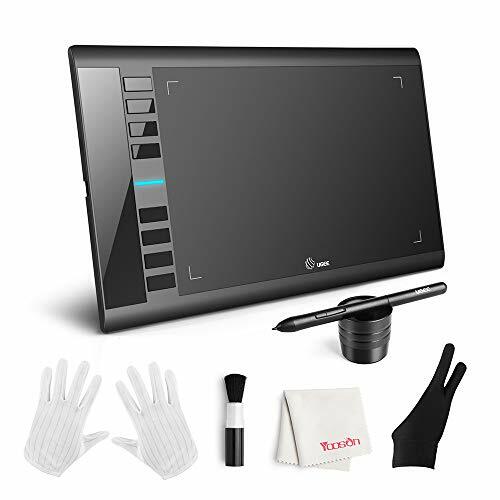 The display area is ideal on this tablet and allows you to easily see what you’re drawing. The pen pressure is quite sensitive at 2048 levels and the colors and resolution are quite decent. The desk edge stopper allows you to get more comfortable positioning as you draw, and allows it to adapt to your drawing style. It can also be used with and plugged into several different devices, whether you need to use an airplay stick, charge your phone, power bank, or use an Android Stick PC. It’s easy to set up the drivers and keep it charged. The pen has ideal pressure response, so it’s easy to draw with it and for you to avoid mistakes. With paper-like texture, this tablet is a favorite for many artists.